Specializing in Heater repair services, Aircor Air Conditioning and Heating, Inc., serves the Chicago-land area with our premier 24 hour emergency repair service. Our number one priority is to keep clients in Chicago, IL cool every day of the week. We deliver 100% customer satisfaction on all repairs, monthly payment financing options to facilitate fixing any Heating problems, free furnace evaluation and free Heating diagnostic with the repairs. Our trucks are well stocked with the most commonly Heater parts, we offer 1 year warranty and extended warranties on heating repairs. So, whether you need a Heater installation for a single unit or an entire office building, our highly trained and experienced technicians and HVAC pro advisors will provide the speedy, high-quality service you can always depend on with Aircor Air Conditioning and Heating, Inc.
An efficient Heating system can provide maximum comfort in your home, so we will work with you to meet all your HVAC needs. At Aircor, we are proud to offer a variety of heating repair services to help you with all your comfort needs. Besides fully servicing your Heating system, our professional staff can also answer questions you may have about proper furnace maintenance. We’re proud to stand behind the quality of our work with a 100% guarantee on all services, so you can rest assured that you’re getting the best value for your dollar. 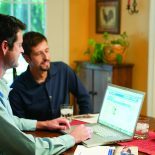 Our experienced technicians will consult with you to determine what your Heating repair needs are and will provide affordable and practical solutions to your problems. Count on us for all your Heating system needs! 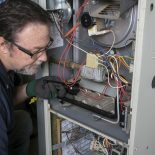 Our expert technicians can also help you determine whether a repair will address the issues with your furnace system, or whether it is necessary to completely replace your old system. We will provide quality heating installation services if your existing unit is beyond repair. Now is the time to take advantage of our monthly payment options that will have you enjoying cool indoor temps with no worries when it comes to financing options for your Heater repair. Whether it’s choosing between 60 months financing for the total cost of your Heater repair and fixing your heating system or opting instead for 18 months no interest on the purchase cost, we have the right financing options for everyone. challenges, but we can also make those solutions easier to pay for. Making sure your central Heating unit works properly is one of the most important investments you will make. With flexible HVAC financing options, you can repair your furnace unit; make sure is energy-efficient with the comfort you deserve. With Illinois summer temperatures averaging higher and higher every year, it’s important to understand the benefits of getting your furnace unit serviced for your home or business. Here at our company, we help you make the best choice regarding the best repair Heater options and the best comfort upgrades that will work best for you. Our goal is to ensure that you’re getting the best service based on your family’s needs as well as your budget. One of our highly-trained HVAC technicians will come out to your home or business and will perform a Heating diagnostic. After assessing your furnace problem our technician will make recommendations based on the findings and what fits your needs the best. If you decide to proceed with the repairs the diagnostic fee its 100% on us. This is a great time to get a full HVAC inspection, as our heating and heating expert technician is there. The appointment for your Heater full inspection can be scheduled right then and there. Typically, a complete furnace unit inspection will take only about 30 to 60 minutes and we’re flexible enough to work around your schedule. We work on all major brands of furnace systems and keep our trucks well stocked with the most common Heating repair parts, allowing us to fix your Heater on the first visit 90% of the time. That you can count on! We understand that the Chicago land area is a hot and humid place during summer. No one wants to wait to get their heating system repair the next day under any circumstance and under any condition. We understand that going over night without Heating could become a health risk and could give you a poor comfort while you try to sleep in a hot humid day in Chicago without AC. If you have an Heating emergency and you need 24/7 emergency service, you want to call Aircor Air Conditioning and Heating, Inc., make an appointment, sit down and relax while we work hard to fix your furnace unit. the market. Our company is 100% committed to your satisfaction and peace of mind. How can you tell? We stand behind our work. By been effective, reliable and energy efficient. Not bringing the quality of our work down by taking unnecessary shortcuts or using used parts. By taking under consideration your value as an individual and those whom life under your roof. Considering important every cent you spend.